Colors of Tyme brings fourteen new tracks to the table, all from the later sessions at Midtown. The music mixes Funk and World-Beat grooves, with flavors of Latin, Afro-Caribean, Samba, Soka, and the occassional odd-time rhythm pattern. The later sessions included a cast of regulars. All of these musicians are veterans of this project, and play together in all measure of situations. Every style of music is represented in these bands, which include Cat's A Bear, Ahimsa Beat Potato Battery, One World Tribe, 3bop, Starfish, Weirdo Theater, Valerie Horton Brown Project, and any number of side-projects, free-lance gigs, and recordings. 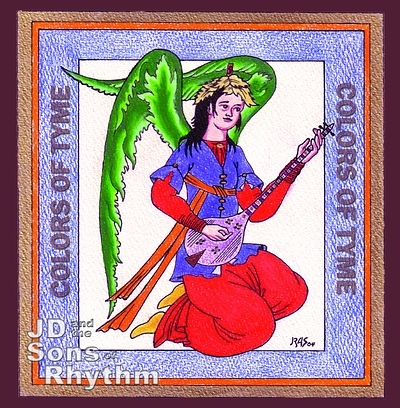 COLORS OF TYME, 14 tracks of music on 2 discs.